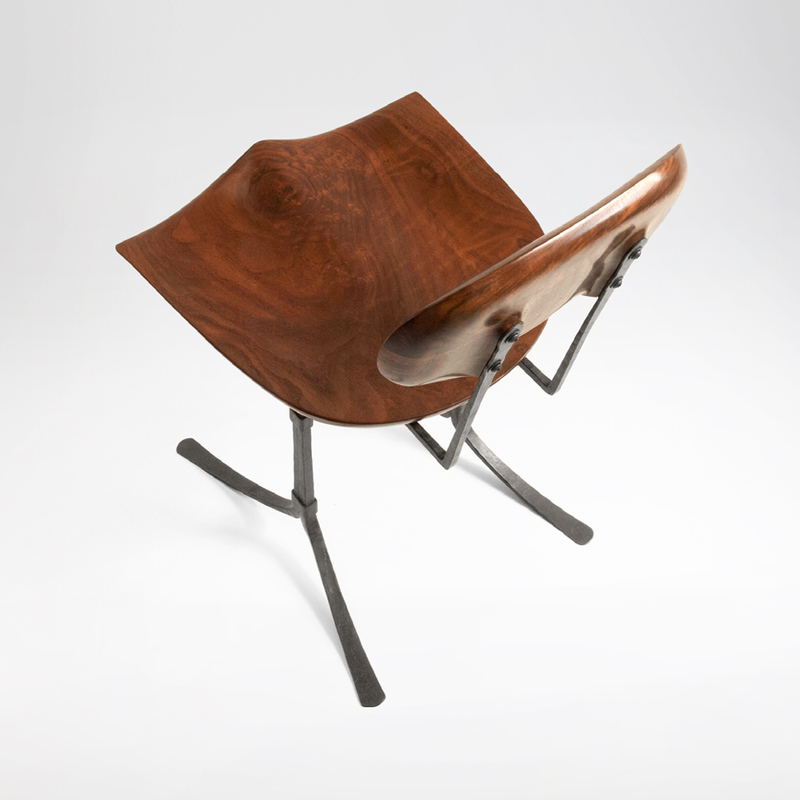 This compact handmade chair combines the functionality and beauty of wood and iron, which is something we’ve always admired in old farm tools or a Norwegian ice axe. 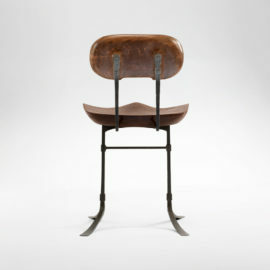 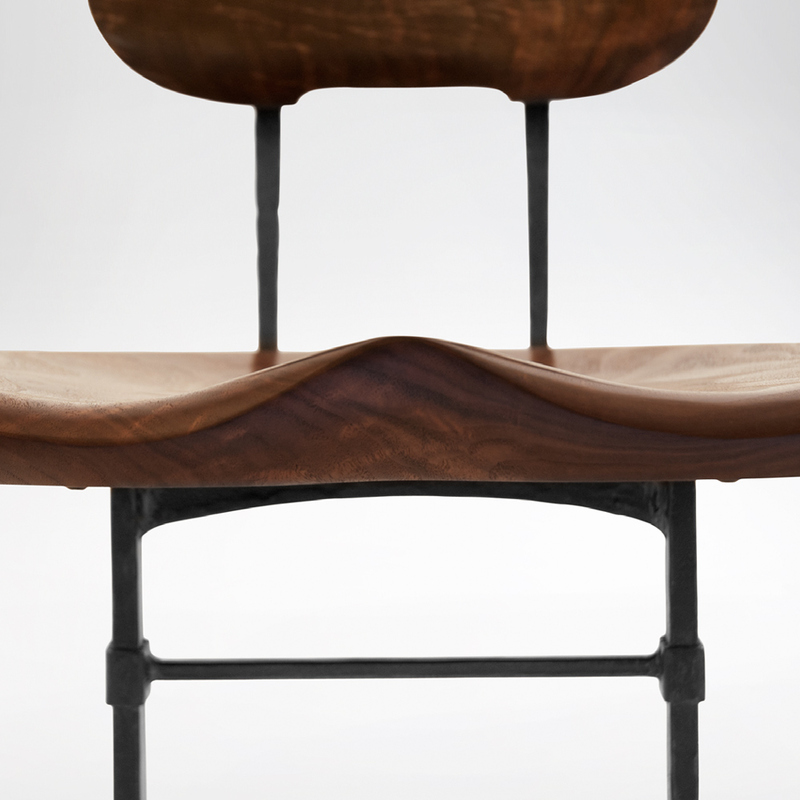 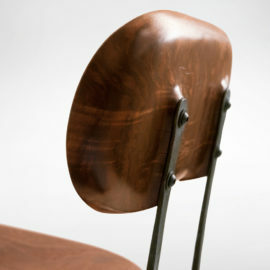 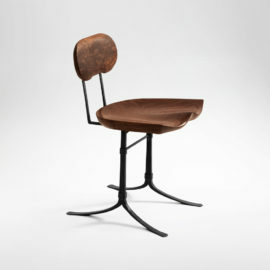 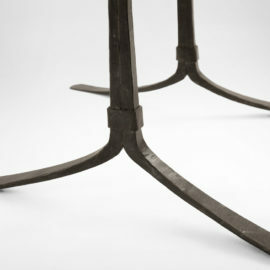 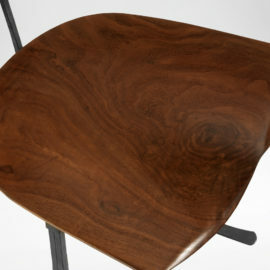 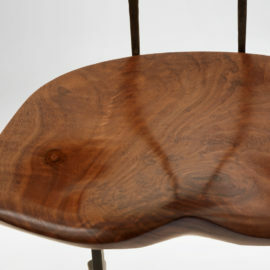 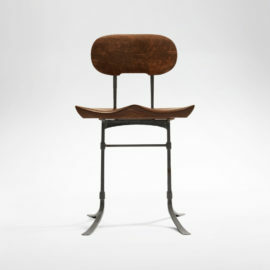 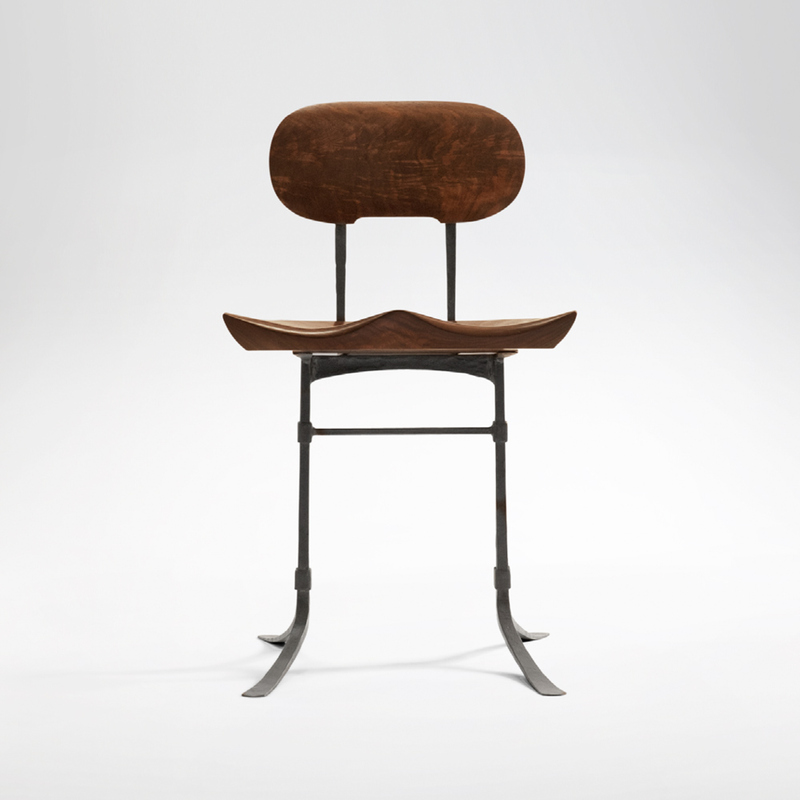 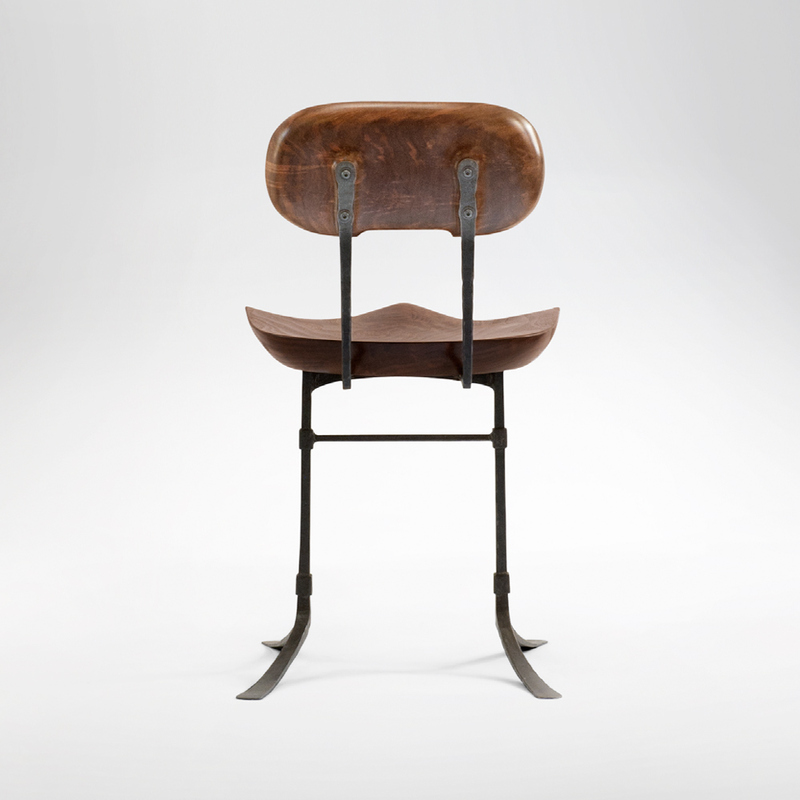 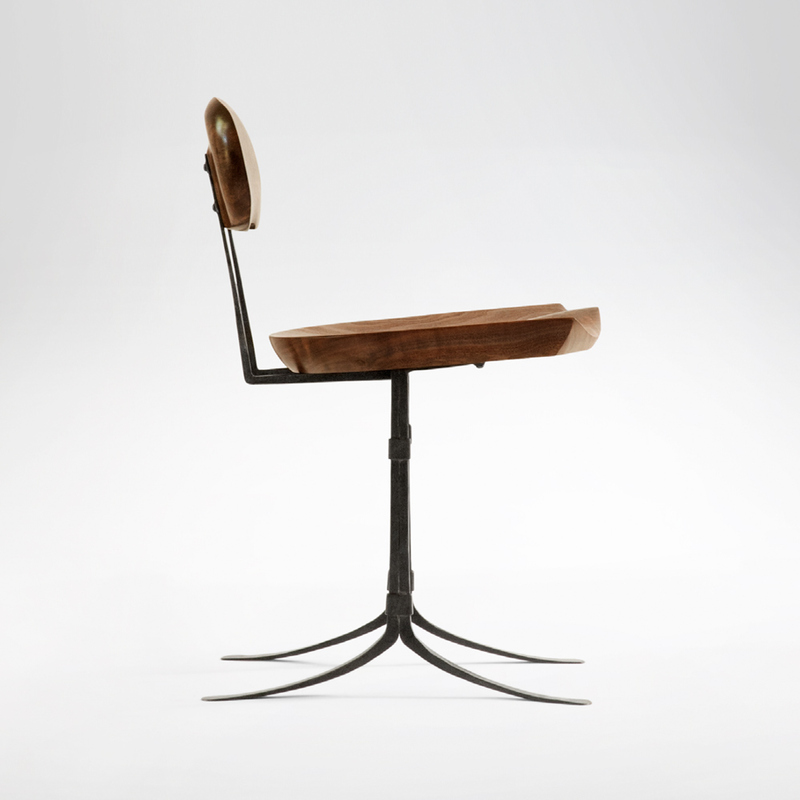 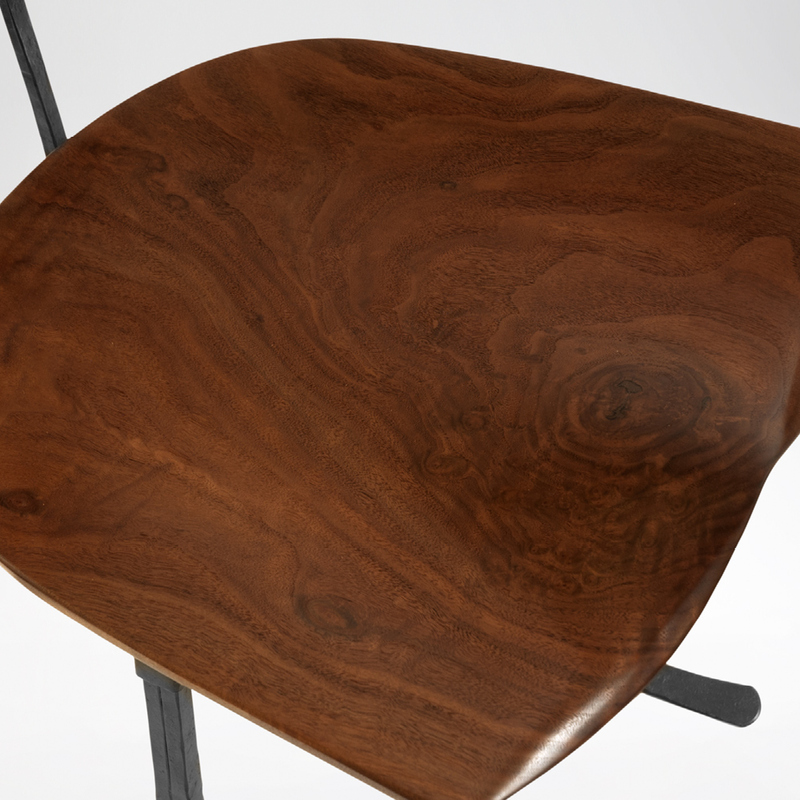 The subtle taper and crisp lines of the iron legs are hand-hammered and attached to the back and seat, which is shown in California Walnut but available in the wood of a client’s choice. With its small footprint, this handmade chair is perfect for the dining room or office. It provides a surprising level of comfort due to the correct placement of the lumbar support in the back, the sculpted tractor seat and the slight spring of the iron legs. Pair this unique handmade chair with one of our handcrafted tables or desks for a modern appeal that’s designed with comfort and performance in mind.